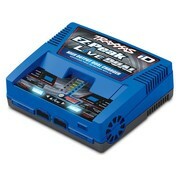 This is a Traxxas Charger EZ-Peak Live Dual, 200W up to 3X Faster Dual Battery Nimh and Lipo High Output. 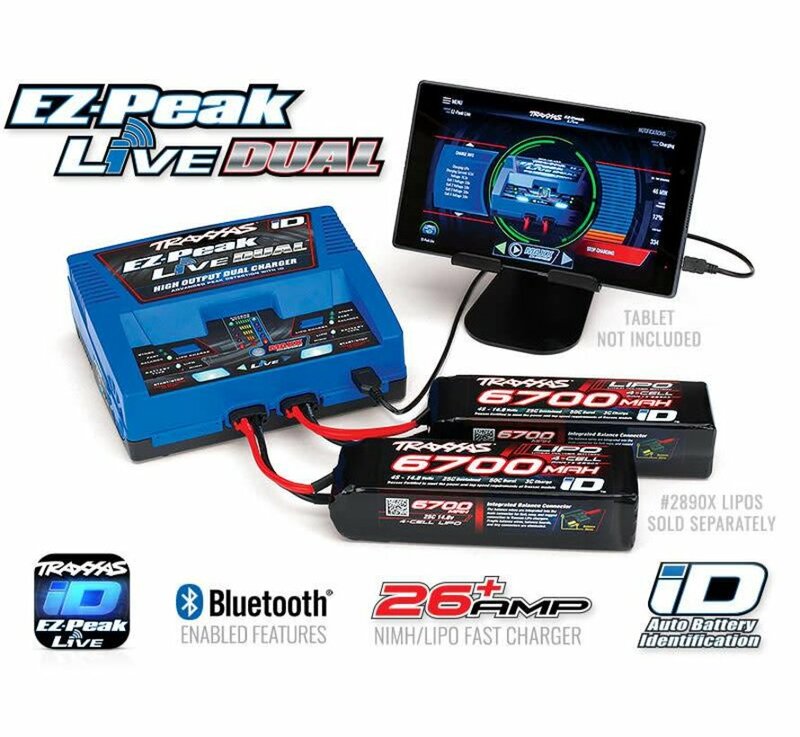 EZ-Peak® Live Dual iD Charger takes all the advanced features of the EZ-Peak Live and supercharges the power output to over 26 amps (200 watts)! 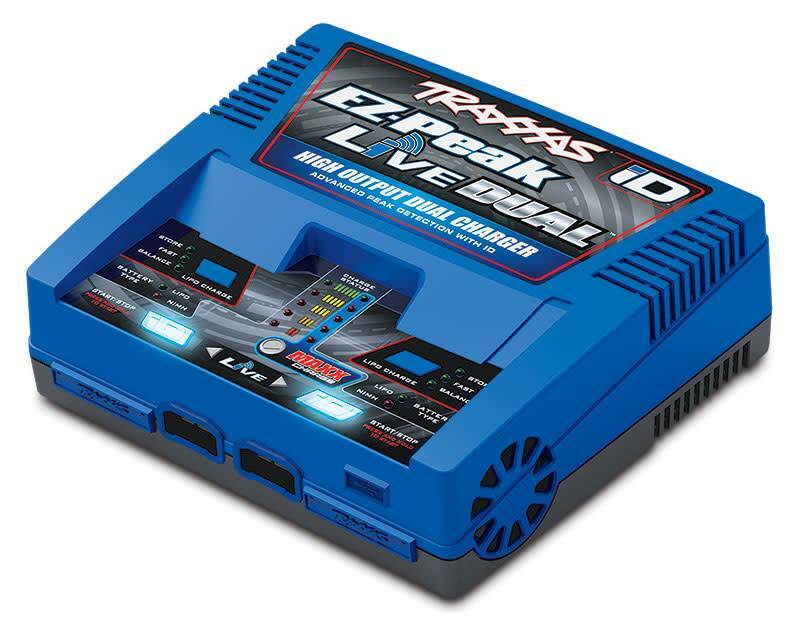 The 4s capable multi-chemistry dual charger uses built-in Bluetooth to work seamlessly with the new Traxxas EZ-Peak Live™ app for iOS and Android. The EZ-Peak Live app gives you detailed information, remote monitoring, and advanced operating functions through the high-definition color interface on your mobile device. 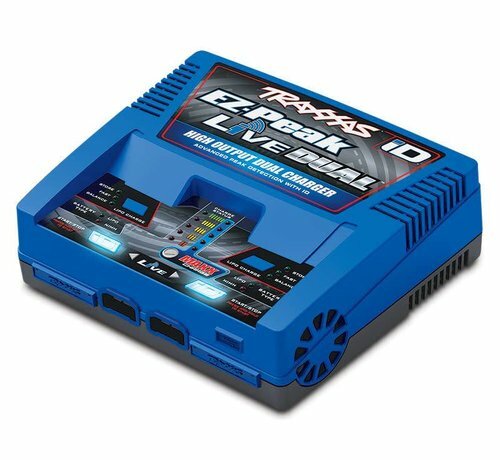 It’s the most powerful, most advanced charger in the popular EZ-Peak lineup. 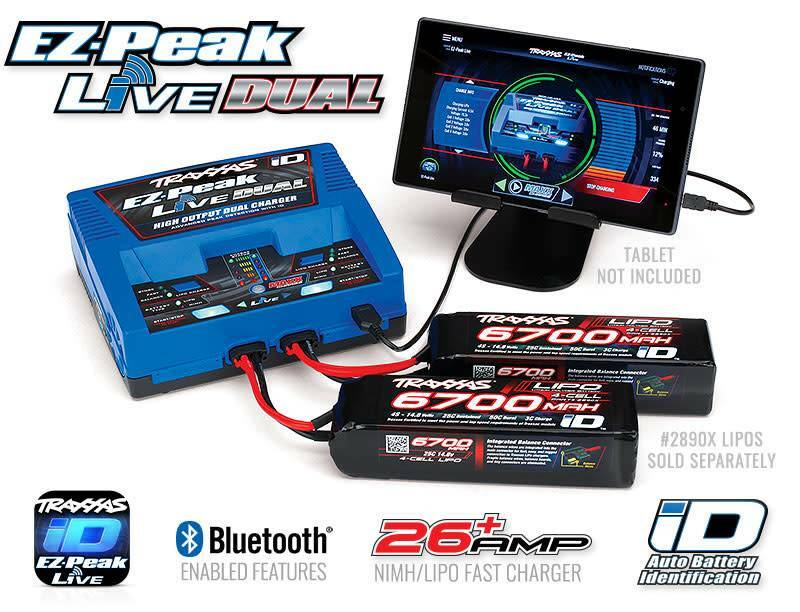 Get back in the action sooner with the new EZ-Peak Live Dual Charger!